Our last bags of apples turned into home made apple cider. Apple cider is an unsweetened apple juice which in this case is pasteurized for longer durability. Don’t confuse it with the alcoholic beverage typically referred to as “cider” in most of the world. This apple cider is a soft drink and is also called sweet cider or soft cider. In Sweden where we live it is called äppelmust. It is a typical beverage from this region and all the local appel farms. In Sweden it grows more than 200 different types of apples so the possibilities to vary the flavor of the cider is endless. It might seem like an advanced project with the whole pasteurizing thing but believe me when I say that its really not. 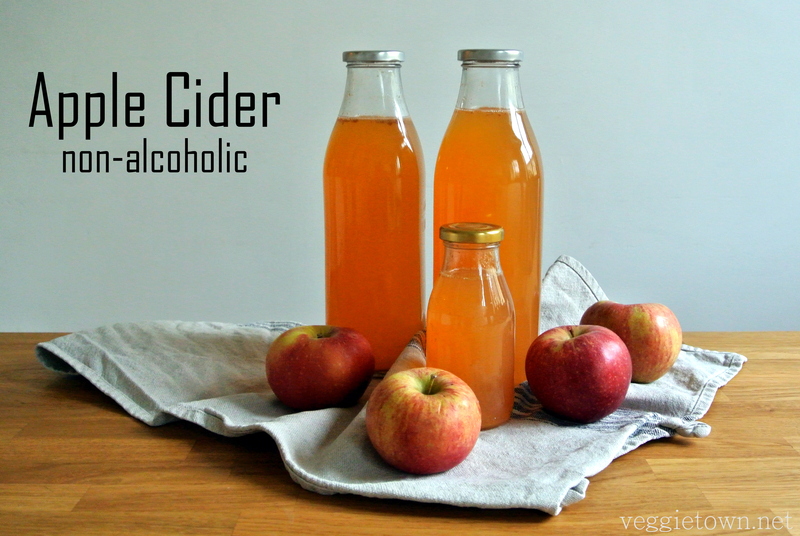 Making your own apple cider at home is fairly easy and doesn’t require a big effort. The only equipment you need is a juicer and a cloth strainer. And what could be better than inviting your friends to a dinner where you bottle up your own stored appel cider. Clean the apples and cut them in quarters. There is no need to remove seeds or skin. Add the apples, a few at a time, to a juicer and collect the cider in a container. Strain the cider through a cloth strainer to get rid of excess pulp. Pour the cider into sterilized bottles and place the lid loosely on top. Pasteurize the cider by placing the bottles inside the oven, heated to 75°C or 167°F, for 30-50 minutes depending on the size of the bottles. Remove the bottles from the heat and secure the lids. Let the bottles cool at room temperature, then store them in for example a pantry. For best result, let the cider mature for 4-5 months before you drink it. Open bottles will keep for up to a week in the fridge. This entry was posted in Cultured and Preserved Food, Juices and Smoothies, Okategoriserade. Bookmark the permalink.